The Helpers panel provides quick access to frequently used helpers and auxiliary visualizers. These helpers can be used to facilitate the process of world building. 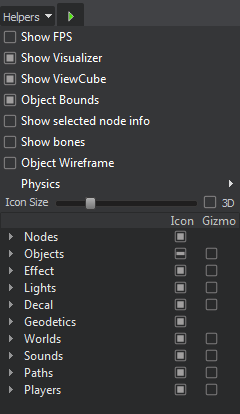 All auxiliary information you need at the moment, from icons and gizmos to information about nodes, geometry, shapes and physical joints can be easily controlled via this panel. 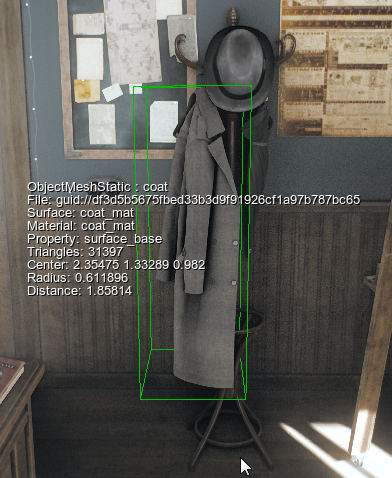 The FPS counter at the top-left corner of the Scene viewport displays the current frame rate (in frames per second) as well as minimum, maximum and average FPS values for the recent time period. To toggle the FPS counter, choose Helpers -> Show Visualizer. 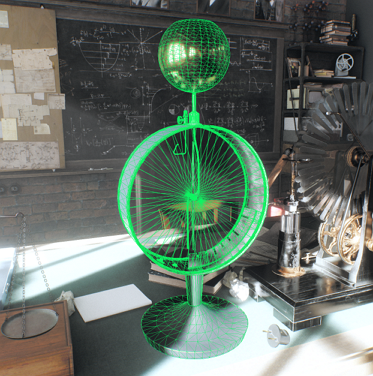 The Visualizer incorporates all visual helpers described in this article, except the FPS counter. You can quickly show or hide all helpers, when necessary, by choosing Helpers -> Show Visualizer, instead of turning them on and off one by one. 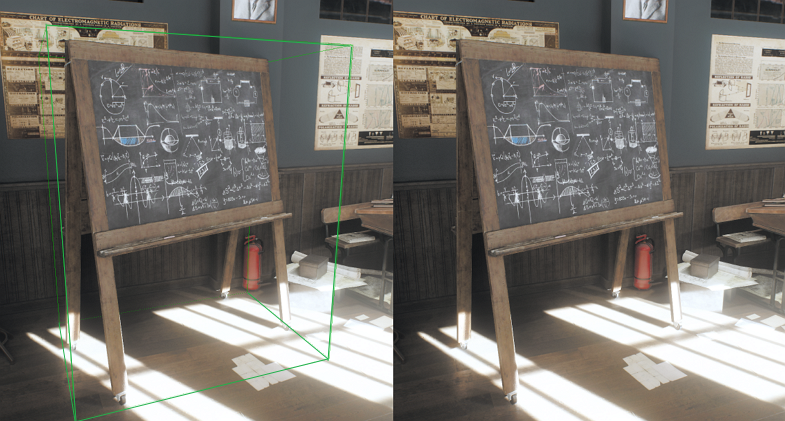 The ViewCube is displayed at the top-right corner of the Scene viewport. It allows you to control orientation of the current camera. You can toggle the ViewCube by choosing Helpers -> Show ViewCube. Displaying bound boxes for scene objects can be helpful in many cases. 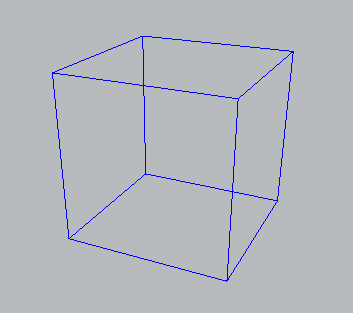 To show or hide axis-aligned bounding boxes for the objects in your virtual world, choose The Helpers -> Show Borders. 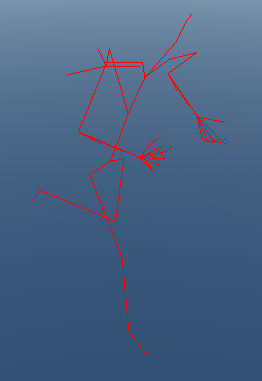 To toggle visualization of bones, that are used to control the animation of skinned meshes, choose Helpers -> Show Bones. 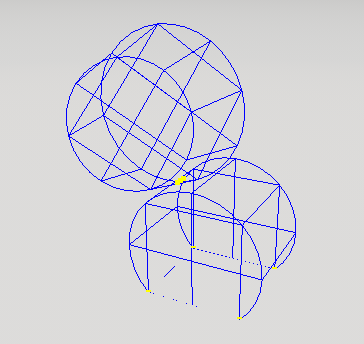 To show or hide all of the polygon edges for the selected surface of an object, choose Helpers -> Object Wireframe. This group of visualizers can be used to view the elements of the physical representation of objects (bodies, shapes, joints) as well physical interactions in your world. To show or hide the shapes of the physical bodies assigned to objects, choose Helpers -> Physics - > Shapes. To show or hide the joints, that connect different physical bodies, choose Helpers -> Physics - > Joints. To toggle visualization of physical interactions between the physical bodies, choose Helpers -> Physics - > Contacts. You can use this option to check contact points of colliding objects. The Icon Size parameter lets you to set up the size of the icons to be displayed. The 3D toggle enables the dependence of the icon sizes on the distance from the camera.